It is not only men in ministry, or professional pastors, who have careers that honor the Lord and can say at the end of the day, “I have done the Lord’s work.” But, each man is called to work, to supply his own needs and to demonstrate the character of God through his daily labor. has rushed into a paradox. The majority consider religion to be important, yet a large portion of that majority rejects the concept of absolutes. This instability can only become balanced if each person's individual convictions become their own personal form of religion. If you can understand how this social paradox is balancing itself out, you may be able to understand our generation and anticipate the illogical events we are about to see. they want to "hear, understand and mature" in church. may be pure (eilikrines) and blameless for the day of Christ." 2 Peter 3:1, "Dear friends, this is now my second letter to you. I have written both of them as reminders to stimulate you to wholesome (eilikrines) thinking." 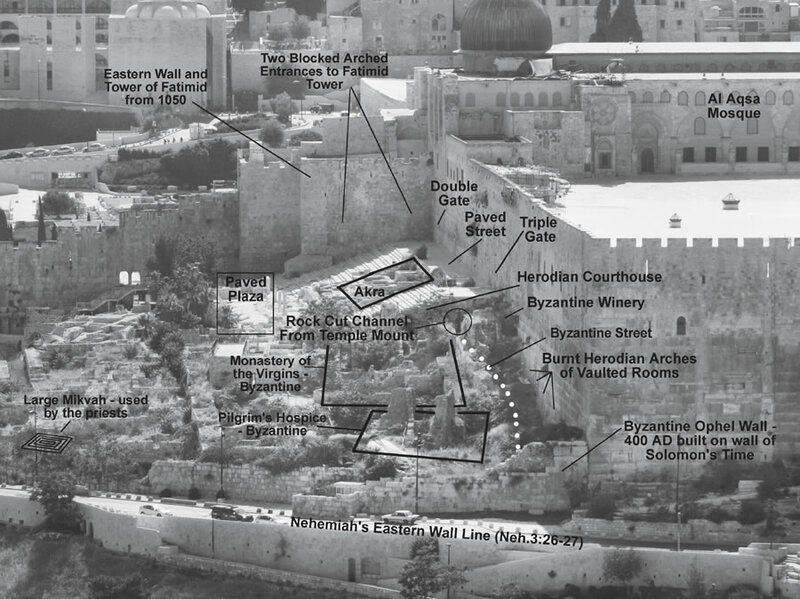 Pontius Pilate's existence is well documented (see here). Coins minted by Pontius Pilate (see here) from 29-31 AD are still available in the coin market today. Do I consider my secular employment to be less spiritual than a career in ministry? Do I think I am missing out on God's will or the Lord's rewards because I have a job? in the Lord, I teach you today, even you. you can give sound answers to him who sent you?" stairs and though the 135 foot horizontal tunnel. wall of the shops along this side of the Temple Mount) burnt from the Roman fire of 70 Ad can be seen in the lowest visible courses just behind the low middle of the green bush in the front of the photo. let him get up the water shaft to attack.’ "
a rope to the bottom of the 40 foot shaft to get fresh water from the reservoir below. 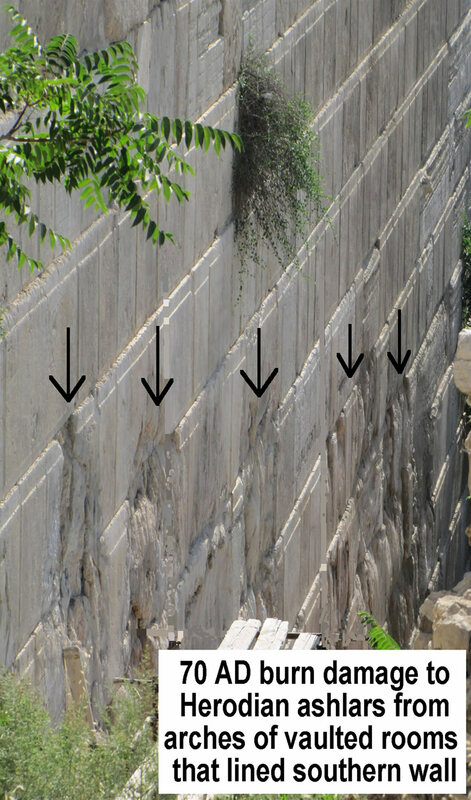 A person could reach this inclined tunnel by entering a vaulted chamber from the ground level, walking down a steep, stepped tunnel, then using a ladder to descend a nine-foot scarp drop to arrive in the inclined tunnel. 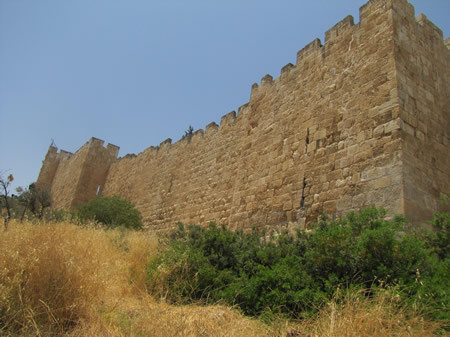 The entrance to this water system was within the city walls, while the Gihon Springs were outside the walls. 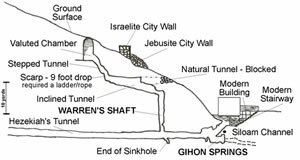 Joab could have entered the city through Warren's Shaft, or he may have used the natural tunnel before it was blocked, to access the inclined plane and ascend into the city.